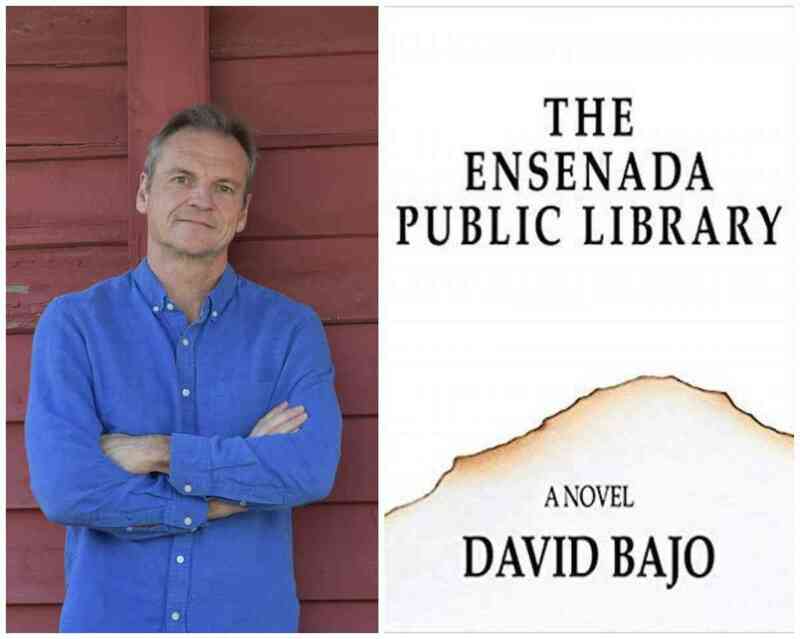 David Bajo will discuss The Ensenada Public Library with Clare Rosean. A Q&A and signing will follow the discussion. About the Book: The Ensenada Public Library tells two stories. The primary one is about four librarians, one who is a spy, working in an American library across the border in Baja. Like all public libraries around the globe, they are tasked with somehow managing the hundreds of thousands of new books published every year. They struggle to maintain reading space in their beloved building; they struggle to preserve the act of reading in a US culture more concerned with the act of publishing. Like inversions of the fireman in Fahrenheit 451, they burn thousands of books per week in order to protect the integrity of literature, the virtue of ink on paper. The second narrative inhabits the first. It exists in a strange novel that somehow keeps escaping the burn chute and is secretly read by all four librarians. It follows the adventures of a Mexican archivist named Equisa who, in a speculative world where reading has collapsed, smuggles a corner scrap of paper from Michoacán to Baja. She hopes to bring the scrap, perhaps the only remaining piece of ink on paper left in the world, back to her lab where she believes, working backward from just this single fragment, she can reconstruct the entire novel—the last book on paper. But first she must make her way across a hostile landscape, through a global culture that seeks to consume all material. The two narratives parallel one another, both using very different perspectives to explore the future of books and reading in a worldwide culture that burns through everything. About the Author: A native of southern California, David Bajo is the author of three previous novels—The 351 Books of Irma Arcuri, Panopticon, and Mercy 6. He holds an MFA from the University of California at Irvine and is a professor at the University of South Carolina, where he directs the MFA program. His newly released fourth novel, The Ensenada Public Library, is the winner of the 2017 Brighthorse Book Prize. About the Interlocuter: Clare Rosean is a Chicago based artist whose drawings are inspired by anxiety and dreamwork. She received her BFA from the School of the Art Institute of Chicago in 2010 and her MFA from the University of Chicago in 2012. She shows at the Zg Gallery and has work at the University of Illinois and various private collections. She is a 2018 finalist for The Hopper Prize.